Looking to change direction, make your hobby your career? Perhaps you are a professional dancer, maybe even with a performing arts degree, but don't have a formal teaching qualification and find it hard to get into teaching work? Train for the IDTA Associate qualification and unlock your teaching potential! Perhaps you already have the Associate and have been teaching for a while and want to progress, increase your knowledge and challenge yourself further - why not take the IDTA Licentiate and move your teaching to the next level. We have a 100% pass rate of exam candidates since we started in 2009 and the vast majority have achieved a Distinction (formerly Honours). We have a new format for 2018 and private tuition is always available. 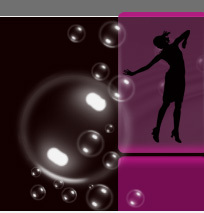 See www.teachingdance.co.uk for more details of current courses and details of future opportunities. If these courses are not covenient for you then one-on-one private tuition can be arranged in the London area at competitive rates. Contact us for more information. Q. Will I be able to teach in schools with this qualification? A. This qualification will NOT give you QTS (qualified teacher status to teach curriculum in state schools) but with this certificate and a CRB (which can be arranged through the IDTA scheme once you are qualified) you will be able to work in schools running after school clubs, lunchtime / breakfast clubs, activity days, workshops, show choreography and other non-curriculum activities. You will also be able to run your own private activities - classes, private lessons etc - or set up your own dance school if you wish. Q. Why Freestyle? Is it just an easy option? In a word - no! Freestyle suits this type of learning because of the creative element to the dance. You can devise your own choreography and there is far less set work to learn than with ballet or tap or even ballroom etc. Because of it's 'open' nature it also suits dancers of many backgrounds - our Associate trainees have included people from backgrounds as diverse as Bollywood, contemporary, ballet, Afro-Brazilian, dance fitness and ballroom dancing. However the syllabus should not be seen as an 'easy option' as it will cover musicality, safety, anatomy, class structure, syllabus work, exercises and the art of choreography. These are useful principles for dancers of all techniques. Q. What are the benefits of an IDTA qualification? A. It is internationally recognised and the association is one of the largest in the world. Members have many benefits such as free seminars, publications and discounted rates to other events and products. Once qualified you will be able to train candidates for IDTA awards and hold medal tests and you will be eligible to apply for your liability insurance and CRB through their member schemes. Q. Surely you can't train anyone to be a dance teacher in such a short space of time? A. Of course we can't train just anyone. 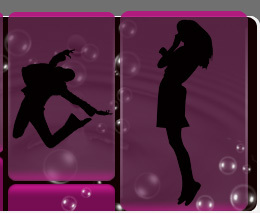 On application we will discuss your dance background and ensure that this course is right for you. We will expect that you have a dance background and a serious commitment to teaching. In the intensive sessions we will guide you through all you need to study for the exam but you will need to put in the time outside of these sessions to prepare routines, revise and compile a portfolio. You can then return to take your exam when you are ready - and how quickly you do that will be up to you - how confident you are and how much time you can put in to prepare. In recent courses we have added some follow up private tuition and a mock exam in order to help build confidence, check progress and ask for help with the independent study, which we believe is beneficial. 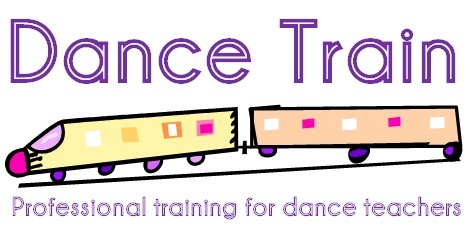 Courses are taught by Emma Weir, a Fellow of the IDTA with several years' experience of training professionals. She has a 100% pass record with the majority of students attaining 80% or more. The part time / intensive nature of the courses mean that candidates can fit the training around their existing work. More information can be obtained by emailing info@emmasacademy.co.uk with your details. Places always fill fast so don't delay.